Financial advisors have the tall task of tailoring financial plan presentation to a diverse client base with wide-ranging needs. However, by adhering to the following field-tested practices shared by fellow advisors, presentations can be far more impactful across the board. Overwhelmingly, studies find that people respond best to straightforward language. Abstract, jargon-filled communication can make clients feel suspicious and less likely to speak up about concepts they don’t understand. When presenting a financial plan to a client, consider communicating points in concrete language and illustrating with analogies that are easy to access. Of course, sometimes technical language is necessary. In these instances, jargon doesn’t have to be prohibitive; use it as an opportunity to educate rather than distract. Make it clear to clients that you aren’t assuming ignorance on their behalf. For example, framing explanations as due diligence that you do in every session can make clients feel less defensive. Additionally, building expository phrases like “A lot of people have different ideas about…” and “So let me go over that real quickly” into your explanations can create a more open and collaborative atmosphere. Every client is different. Using a communication style—in-person hard copy report, in-person digital engagement, or online Advisor-led sessions—that squares with client needs is a key first step. For example, an in-person hard-copy report may be best suited to those familiar with traditional models of advisor/client engagement. 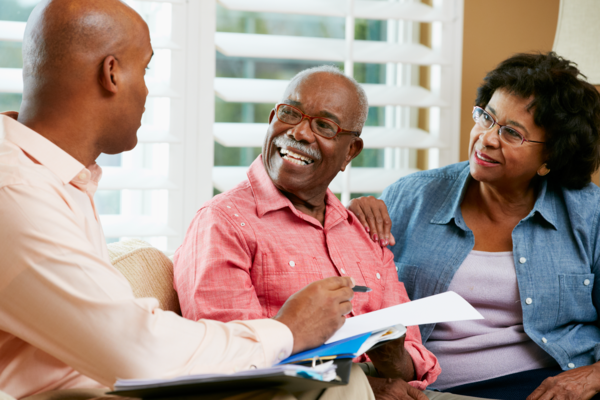 Receiving a tangible financial plan that they can hold and review can be important as it provides a physical reference point and a springboard for future conversations. In-person digital engagement might be a more appealing platform for younger audiences who expect dynamic, real-time updates. The ability to immediately see the impact of changing variables in their financial plan creates further engagement and often leads to additional information sharing. In these instances, the delivery meeting also becomes a second discovery session, as clients share additional financial goals, concerns, external assets, future inflows, and other pertinent details. Not only does this information aid an advisor in discovery, but it allows for immediate adjustments to their modeling and real-time plan updates. Finally, advisor-led solutions that utilize online portals can be an attractive fit for clients who travel frequently or are simply too far away for in-person meetings. Additionally, for advisors who are looking to reach a niche client base (e.g., tech-oriented clients), an online portal mitigates geographical limitations. The full scope of a financial plan can be overwhelming. One way to avoid this is to ask the client to envision the report not as individual pages, but as three main sections–Goals, Assets and Liabilities, and Recommendations. This introduction helps layout a logical flow to the planning discussion. Use this moment to explain the purpose of each section and reiterate that the plan is based on your initial discussions. Stress that the plan is meant to be a living illustration and encourage them to share additional details that they may have left out during the initial discovery. Beginning with a review of the client’s goals affirms that you listened during the discovery process, keyed into their needs, and have a plan to address those needs. It is not uncommon for the plan you created to get derailed, even in this first section. Many times seeing their goals laid out in writing triggers further discussion and “What If” questions from clients (What if we want to retire earlier? What if we want to move into a bigger home? What if we want to fund our grandchild’s’ college education? etc.). Encourage these detours, as they provide opportunities for clients to volunteer additional details. Once goals are established the conversation should lead to a discussion of Assets and Liabilities. This is another moment in which providing clients with plenty of time to view all the assets in the plan may lead to further disclosures. Even simple questions such as “Have I missed anything?” while reviewing their accounts summary page can yield tremendous results. Finally, the Recommendations section presents an opportunity to provide a comprehensive review of results based on current strategy and compare them against your recommendations in areas such as asset allocation, annual savings, spending goals, time horizons, and insurance. A flexible conversational flow is good for both clients and advisors. Practice active listening, encourage feedback and be aware of detours. Following off-road discussions can lead to vital new discoveries that add dimension to the whole plan. When it comes to big decisions, it’s natural for clients to have big questions. Anticipate them and have responses ready. The client-advisor experience hinges on the advisor’s ability to communicate a call to action that connects a need with a solution. Additionally, when presenting a plan, there are a wealth of technology options available to financial advisors. Being fluent in these opportunities can broaden options, create opportunities and transform prospects into clients. To learn more about how Advizr’s flexible planning solution makes it easy to connect and communicate with client, contact us now.